Face-to-face interaction will drive progress in the upcoming ECFA linear collider workshop, Mike Harrison hopes. In a global collaboration most of the personal interactions take place electronically, so our bi-annual linear collider workshops take on extra significance as one of the few opportunities to provide high-bandwidth (face-to-face) communication. For the accelerator community the upcoming Santander Workshop will enable progress in the ILC design to be both examined and where appropriate ratified. The four-day meeting has been structured to minimise the number of parallel accelerator sessions, thus hopefully allowing for multi-disciplinary connections between the various working groups. Since the last workshop in Canada, a significant effort has taken place to try and understand the central region layout in more detail. For these purposes the central region is defined to be that section of the machine between both linacs. Unlike the repetitive main linac sections, the central region covers a large number of one-off systems. These each require separate design solutions which then need to be integrated into an optimised solution. These areas include the damping rings, beam delivery systems, beam dumps and collimators, transfer lines, positron and electron sources, and not least the experiments themselves. The tunnel cross-section is non-uniform and changes significantly with position along the length. A working group has been thinking about these issues for the past several months. The working group will not have any final designs yet but concepts will be presented and discussed. In addition to the central region the conventional facilities working group will be addressing some topological questions. Can the access areas be made identical to each other or does the site geography require customised designs? Hopefully the solutions, if not identical, can be based on a common approach. Similar questions can also be asked of the surface cryogenic plants. Each surface facility of the LHC ended up as a unique entity. Hopefully the ILC will be consistent with more modular solutions. The cryogenics working group will be concentrating on the optimal positioning of the 4.2K cold box (in the tunnel or on the surface? ), the impact of an operating temperature of 1.8K, and will also start to tackle the subject of failure modes. Design change requests associated with the positron target region, the cryogenic plant, and the main linac cross-section have been submitted and reviewed by ad-hoc panels. The recommendations of these panels will be presented to the Change Management Board during the workshop. Hopefully decisions on the fate of these proposals will be made. The Beam Delivery System (BDS)/Machine Detector Interface (MDI) sessions will be looking at the issues associated with collimation and beam halo. With such high-powered beams as those expected in the ILC, beam halo manifests itself not just as experimental backgrounds but also potentially as equipment damage. Muons with their highly penetrating characteristics are especially demanding in their need for special shielding and spoilers. The production of sufficient positrons to meet the luminosity goals has long been recognised as one of the main technical challenges of the ILC complex. The sources working group will be concentrating on various aspects of the positron target system in an active programme. This will cover target designs associated with both electron-driven and undulator-based sources as well as problem inherently in the target region itself. So much power is needed on the positron production target that the target elements become significantly radioactive, which raises questions of shielding, equipment handling, failure modes, and maintenance requirements. In addition to the accelerator design activities the workshop will host some superconducting radio frequency (SCRF) sessions examining the latest results in cavity technology, the global technical status, as well as powering systems. System tests at the ATF2 facility at KEK, Japan will be looking at intensity related effects and sub-system status as well as beam size improvements. 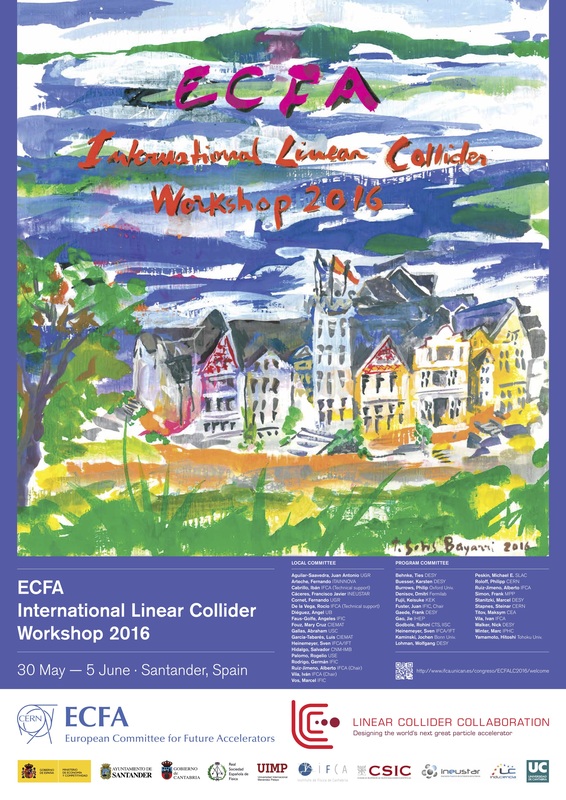 The Santander workshop promises to be a highly productive enterprise following in the footsteps of the Whistler meeting and the many other linear collider gatherings preceding these. Progress at the moment may be slower than we would like. But progress is progress.